I read this article and found it very interesting, thought it might be something for you. The article is called Career Spotlight:Who Knows You’re Looking? Marketing Yourself and is located at https://hitconsultant.net/2012/03/30/career-spotlightwho-knows-youre-looking-marketing-yourself/. We all market something everyday, some of us get paid for it in typical sales & marketing roles, the rest of us market all sorts of things free of charge via word-of-mouth. When is the last time you chatted with a friend or relative or co-worker and recommended a restaurant or movie or a product you’ve used? Each of us do it on a regular basis, we’re great at telling someone why they should try “Joe Schmoes” down the road and what a great experience we had there and how fabulous the food was….. but how good are we at marketing ourselves? If someone put you on the spot and asked you to market yourself and your qualifications in the same fashion… could you do it? If you are seeking new employment, do you know how to talk about it and who to discuss it with? Some of us are accustomed to working contract engagements and have probably built a strong network of people that can be contacted and networked with each time we are seeking a new gig. Other professionals have spent years working with the same employer and might not readily know who in their list of contacts can assist them in finding a new position. Lets start with the basics and assume you are looking for a new job, whether it be a contract engagement or full-time / permanent employment. Present & Past Co-workers, Managers and people that have reported directly to you. People you have met at industry conferences, trade shows, etc (like HIMSS 2012) Break out those business cards you’ve been gathering over the years. Any family members that have an understanding of what you do and may know people in similar industries. Once you have made the list, determine who you have contact information for (phone or email). When creating an email DO NOT send a mass email!! It appears unprofessional and even if you’ve taken the time to BCC instead of CC each person on the list, it won’t be personal and many people may disregard it all together. DO take the time to address individual emails to each person and include your resume, what type of role you are seeking, if you are open to relocation or want to travel etc, how soon you will be available and the best way to contact you. If you are keeping this search confidential from your current employer you may want to remove the current employer name & info from your resume or at least make a point of mentioning that your search is confidential in your email. For the people on your list that are closest to you, take the time to call them in person and discuss your search prior to sending your resume. When preparing for your conversation make sure you can articulate your best qualifications, the specifics on what you’re looking for and if necessary your salary/rate requirements. ALWAYS steer clear of negative chatter, do not bemoan your current situation, do not complain about your bosses, co-workers, current responsibilities. Be up-beat and focus on the positive. After those tasks are complete you should be left with the names of people you do not have current contact information for. Search for these individuals on linkedin and if you are not already connected, connect with them. Now that you have access to them you can communicate about your job search. *In regards to utilizing linkedin to market yourself…. start by doing an “advanced search” for people, use a few key words that will target people you are connected with in your industry (i.e. : Cerner, RN, Informatics) and reach out to all your first connections that result from the search. (Make sure you check their current employer before you send them your information in case you have worked there or do not desire to work there). Marketing your skills should be as easy as marketing your favorite restaurant. No one knows your qualifications and experiences better than you do! Cherie Lester is a Senior Health IT Recruiter with the Holland Square Group and has over 14 years of recruiting experience, the last 5 years in the HCIT Industry. 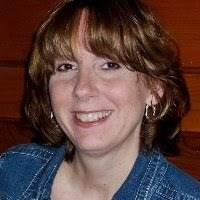 Cherie’s goal is to simplify the job search and application process for HCIT Professionals.